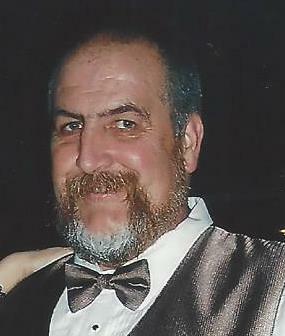 Obituary for Gerald C. "Jerry" "Doc" Purvis | McDonald-Aeberli Funeral Home, Inc.
Gerald C. “Jerry” "Doc" Purvis, age 61, of Saxonburg, formerly of Mars, passed away unexpectedly of natural causes on Monday morning, January 14, 2019, at his home. Born in Pittsburgh, PA on January 15, 1957, he was the son of the late Darvin Dean and Margaret Fallon Purvis. Jerry was a truck driver for Jay Bird Trucking in Saxonburg. He was a member of St. Kilian Church, a social member of Mars V.F.W. Post 7505 and the Mars V.F.D., now Adams Area Fire District. Surviving are his wife, Sherry McMaster Purvis, a daughter, Heather Geiger (Jason) of Slippery Rock, two sons, Steven Purvis (Brittany) of Harmony and Christopher Bruck (Amy) of Camp LeJeune, N.C., eight grandchildren and two sisters, Eleanor Cupps (Donald) of Perryville, MD., and Peggy Anne Landis of Lancaster. He was preceded in death by his brother, Thomas Dean Purvis. Friends will be received at the McDonald-Aeberli Funeral Home, Inc. 238 Crowe Ave. Mars, PA on Thursday from 2-4 & 6-8 PM. Services will be held on Friday at 11:00 AM at the funeral home with his brother-in-law, Donald Cupps, officiating. Memorials may be made to the Travis Manion Foundation, PO Box 1485, Doylestown, PA 18901. Directions and condolences are available at www.mcdonald-aeberli.com.